You probably know Flea as the bassist for Red Hot Chili Peppers. But you may not know him as an actor or jazz aficionado or the co-founder of the Silverlake Conservatory of Music, a non-profit organization dedicated to music education for kids. In 2014, Flea executive-produced and co-starred in the film adaptation of Amy-Jo Albany's memoir, Low Down: Junk, Jazz, and Other Fairy Tales from Childhood, about life with her father, jazz pianist Joe Albany. The biopic stars John Hawkes, Glenn Close, and Elle Fanning, and its soundtrack features jazz greats such as Coleman Hawkins, Thelonious Monk, and Joe Albany himself. Flea and Amy-Jo recently visited Amoeba Hollywood for a DJ set and soundtrack signing. They took time to talk with our "What's In My Bag?" cameras and to surprise each other with a few selections. In this episode they talk about falling in love with Bach, Bowie's ability to interpret songs, and the transcendent power of J Dilla. It’s not just new albums that we’re excited about. Check out this list of reissues we’re looking forward to spinning in the new year. There are few artists who unite music fans like David Bowie does. News of his passing hit us hard at Amoeba. As we're all still reeling and grieving the loss of this immeasurably influential and beloved artist, we've been sharing stories with each other about the first time we heard Bowie, and what his music and persona meant to us each individually. We've compiled anecdotes from some of the Amoeba staff about our favorite Bowie albums, and we hope you'll share with us your Bowie memories in the comments. KAREN: It is nearly impossible to pick a "favorite" bowie record. He has always been in my life, and each new record would make me stop and listen. When i first took notice, it was probably the Hunky Dory record. I had seen his name and the albums in the record store before: Space Oddity, The Man Who Sold the World. I was 10 years old and already haunted record stores almost daily. 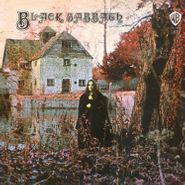 That record was one in my collection amongst The Jackson 5's ABC, Simon & Garfunkel's Sounds of Silence, Marvin Gaye's What's Going On, Cat Stevens' Tea for the Tillerman, Rod Stewart's Gasoline Alley, Badfinger's Straight Up, The Beatles, Elton John, Aretha, The Who, Velvet Underground. He was part of the wallpaper of images and sounds that I was gobbling up voraciously. Exploring all of it. But I would have to say Ziggy Stardust was the one that got me. I already felt like an outsider. I didn't know yet that we ALL did. And he spoke to that part of us. He gave that unique, creative, brave spirit inside of us a voice. A deep voice. A fearless, shocking, exhilarating, comforting voice. David Bowie, who turned 69 on Friday, died yesterday from cancer. "David Bowie died peacefully today surrounded by his family after a courageous 18-month battle with cancer," said a statement released late last night via social media that requested privacy for his family during their time of grief. His death came as a shock to fans far and wide who had no idea of his battle with cancer. "The nearly 70-year-old artist is showing no signs of slowing down. Far from it," the Amoeblog's own Billy Gil wrote on his 69th birthday, just two days before his passing, when he released his 25th studio album Blackstar (also available on vinyl). With the release of the new album, Bowie had been getting a lot of mainstream and social media attention over the past few days so when the totally unexpected news of his death first began to circulate late last night the general reaction was one of disbelief, many thinking it to be a hoax. Sadly it is not, although so far the type of cancer he died from is not known. Bowie has always been one of my favorite artists and his was the very first rock concert I ever attended as a young kid (Southampton Civic Centre, England, June 1972, Ziggy Stardust tour). He was many others' favorite too, and today tributes are being paid to Bowie all over the world including at the Hollywood Walk of Fame where he is immortalized with his own star. Below is a ten music video tribute (newest to oldest) to the incredibly talented and highly influential British artist who defied categorization and whose musical (and fashion) styles were constantly evolving and changing. Rest in peace David Bowie! David Bowie’s 25th studio album shows the nearly 70-year-old artist is showing no signs of slowing down. Far from it — Blackstar is one of the most adventurous albums of his career. That’s saying something, given Bowie’s remarkable history, from his Ziggy Stardust days to his hallowed Berlin trilogy to his days as an unlikely ’80s pop star and subsequent movements thereafter. The epic-length title track combines a shuffling jazz beat and electronic throb with strings, horns and Bowie’s eerie doubled vocals. The whole thing moves creepily, a little like Radiohead’s “Pyramid Song,” but breaks into a typically gorgeous yet still intense second portion — it’s hard not to get goosebumps when Bowie sings “how many times does an angel fall?” over floating guitar lines. “Lazarus’” languid jazz-inflected atmosphere calls to mind the aforementioned Berlin albums and reminds us he was the original post-rocker. The previously released “Sue (Or in a Season of Crime)” plays the album’s jazz-noir theme most strongly; its horns trill fabulously while Bowie turns the suburban dream into a waking nightmare. 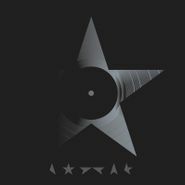 Comparisons to Scott Walker’s later albums or Tom Waits are sure to abound, but Blackstar is still Bowie at the core. While some late-era Bowie albums have seen him try on ill-fitting guises or attempt to recapture past glory, Blackstar finds him maturing gracefully without losing an ounce of his creative mojo and finding something new, even revelatory, once again. Check out the creepy new video to “Lazarus” below. And celebrate D-Bizzle's 69th b-day and album release with a listening party at Amoeba Hollywood tonight at 6 p.m.!